The 2nd phase of Green School project where not only involve the construction of buildings, but also extends to management in various areas for educational and quality of life promotion under Green concept for sustainable development in terms of environment, social and economy. Integrated Green School approach can become a key development concept to activate others as an effective change agent for a long term sufficient and viable lifestyle, sustainable growth in terms of environment, social and economy. The endeavor can be perceived as a long-term expedition and can provide strong impact as a fundamental legacy for our next generations to come. 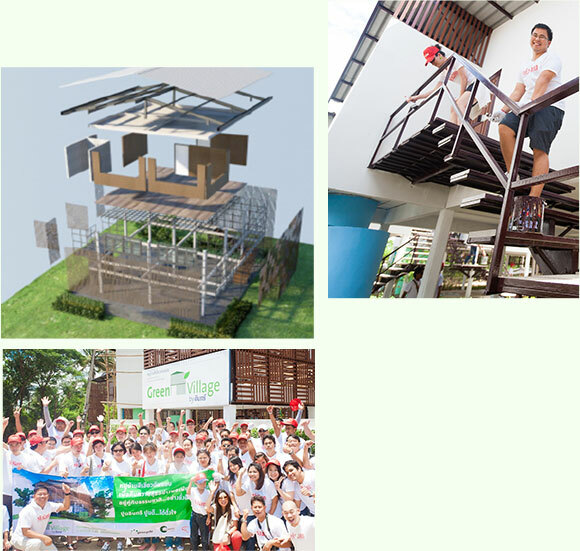 -Develop: Green activities such as waste management, water system and rearing of livestock for food. -Deploy: Community outreach program to provide economic opportunities such as cultivation and vocational training. This year, in the design of Baan Pakeuyor Border Patrol Police School at Padeng sub-district, Kaeng Krachan district of Phetchaburi, the concept of “Panya Arsa” or volunteer spirit has been employed to encourage students to utilize their talents and knowledge in various areas to bring benefit to local communities and society. Enhance Border Patrol Police schools to be community center. Being Integrated Green School is a key soft power that can strengthen children and community to become a good quality fence of nation. 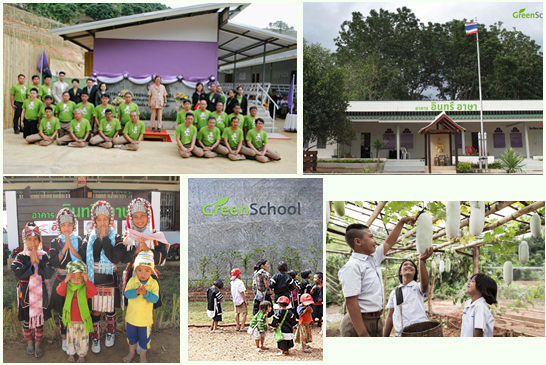 Integrated Green School can serve as role models for the others to adopt green lifestyle and green practices, particularly in areas rich in natural resources to preserve and live sustainably with forest. 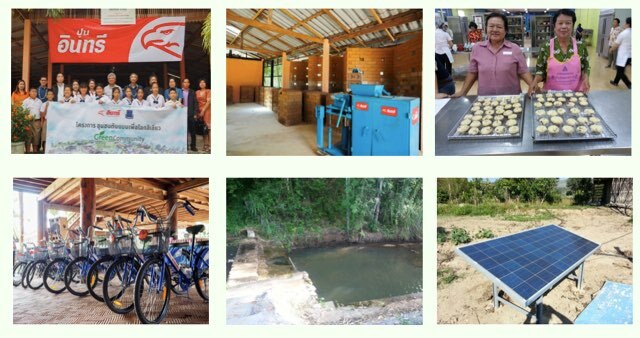 The project creates a sustainable future for Thai society in the promotion of education for our children in the rural areas, achieving a better quality of life and the preservation of our environment and limited natural resources. Cooperation with the Vocational Education Commission to let technical colleges in the areas to assign volunteer students to build Green buildings. The project enables community to become a self-reliant community and sustain viable lifestyle in the long term – Sustainable growth in terms of environment, social and economy under concept of INSEE Green Heart. They can pass on this knowledge to other communities. Collaborate with Chaipattana Foundation and its network. Become a Prototype for other communities by passing on the knowledge directly. A forum for employees who are passionate about environmental preservation and demonstrate their self-less dedication to help others and society. 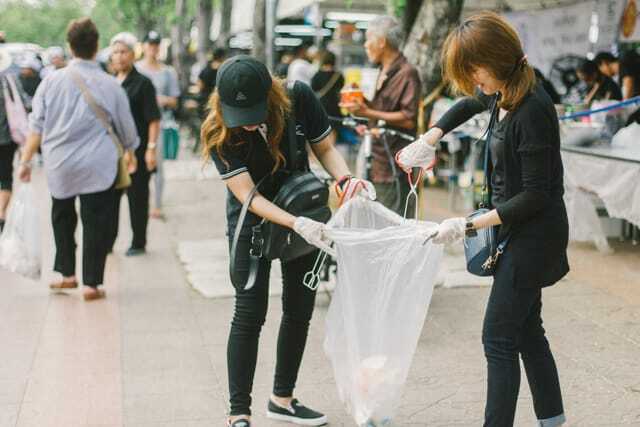 Beside necessary donations to communities and society, we also encourage employees’ voluntary participation by applying their initiatives, knowledge and expertise to benefit the general public in many CSR programs in a tangible manner. These CSR practices involved everyone from the top management to all levels of employee. As for Green Heart Club logo, was designed by top management of SCCC. “INSEE Month of Caring” is a campaign under Green Heart Club project which will be a month for INSEE employee to manage their own free time for voluntary activities provided by CSR team. Various foundations will be contacted from the corporate in order to inform them about this campaign so that the volunteer employee can consider some of related foundations they would like to go and feel free to manage their own voluntary activities or donations. Furthermore, every hour INSEE employee spends their time at those foundations will be topped up by the corporate (1,000 baht per hour). “Green hearted” volunteers, and INSEE volunteered staff were participating in the activity to donate toys and comic books as well as decorate the children’s toy library at the INSEE Arsa Border Patrol Police Education Center, Baan Pa-ker-yor, Phetchaburi, which seeks to improve the quality of life of community residents as well as educational opportunities for children in the border areas. The Green School program works by promoting a holistic learning approach, strengthening academic skills and thought processes, and developing children emotionally. 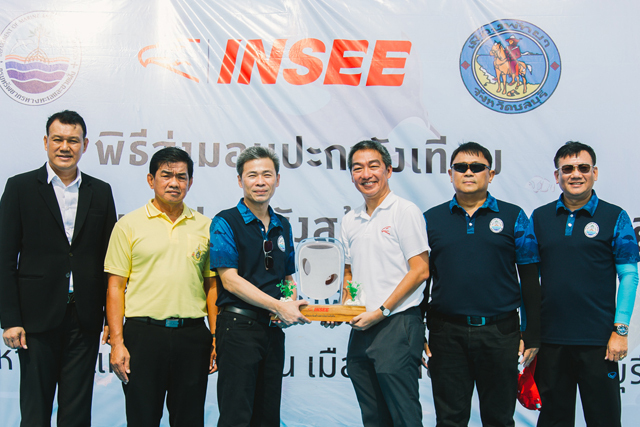 Siam City Cement Plc gave INSEE Happiness Playground with a value of 120,000 Baht to Sattahip School Royal Thai Fleet Campus by applying old car tires that weren’t using anymore to be a playground for children to learn and play also adding the attitude of sustainably conserve resources to the children. 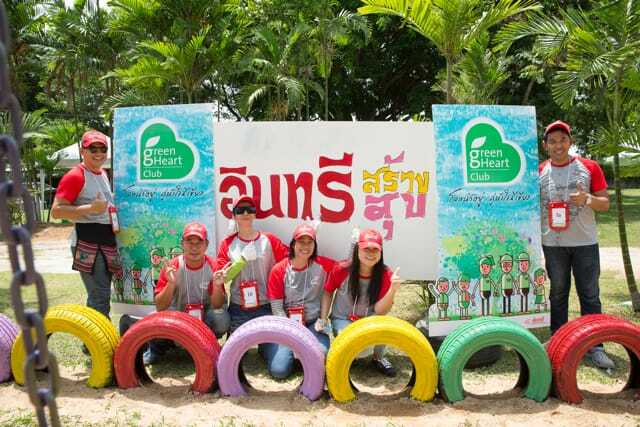 “Green hearted” volunteers, and INSEE volunteered staff were participating in the activity to paint playground themselves. 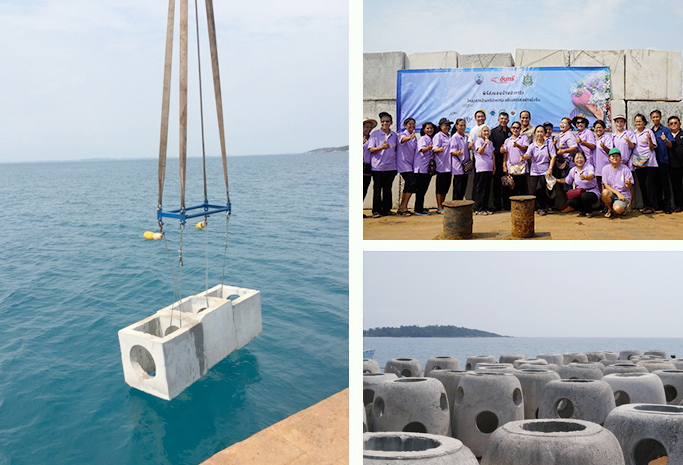 Further, they also built coral reef with Navy Team in order to promote coastal resources conservation. The knitting and crocheting hats made by the INSEE Family for underprivileged chemotherapy patients to be served as guiding light of hope to cancer patients both adults and children. 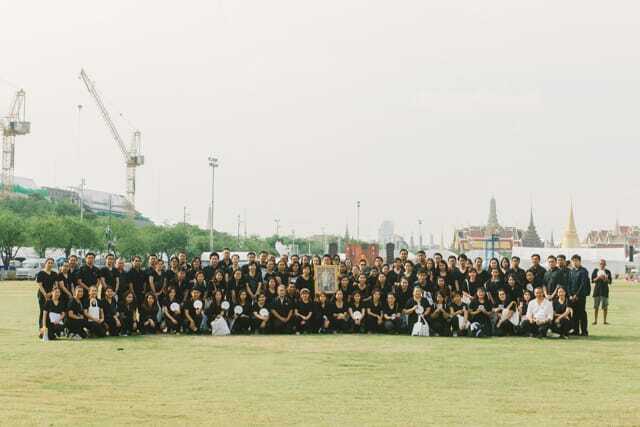 Mourns Death of the King Bhumibol Adulyadej, all of Thai people fall into the same sadness as all of the members of INSEE Family but we want to change tear to power to do the good thing so, INSEE Do the Good for King project are starting. 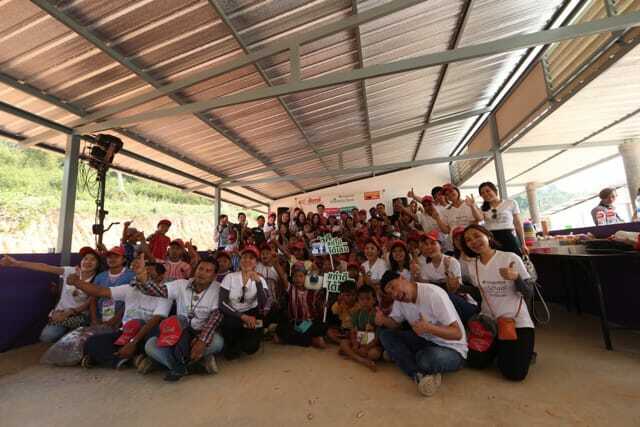 a merit dedication activity which held on 28th October 2016, gathering more than a hundred members of INSEE family from every section to help distributing boxes of natural juice from the Royal Project, fans with his Royal Guidances printed at the front, paying-tribute pins, refreshing towels, herb inhalers, and ointment for people who traveled to Chakri Maha Prasat Throne Hall at the Royal Palace to pay their respect to the body of the late King Rama IX, plus helping cleaning up the areas around Sanam Luang at the end of the day. Occurring on 1st December 2016 which marks the 50-day anniversary of King Bhumibol Adulyadej death by giving two tons of un-milled rice to the Office of the Permanent Secretary, Prime Minister Office, volunteering ourselves packing un-milled rice in bags to make ‘a bag of Sufficient rice’ for giving out to those people coming to pay their tributes to the late King at Chakri Maha Prasat Throne Hall, the Royal Palace. The Warm Knitted Clothing items made by the INSEE Family for underprivileged the cold weather's victims in Thailand. 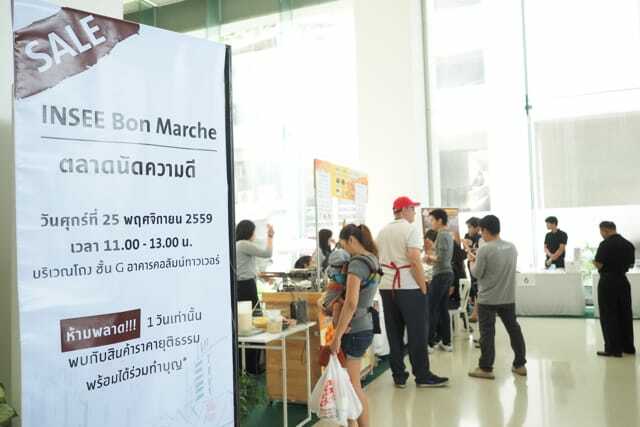 INSEE Bon Marche start with our commitment “INSEE Caring about our Future” so, Green Heart Club invites members of the INSEE Group to join to sell each other goods such as second hand clothes, homemade bakery. INSEE Bon Marche based on the concept and approach of the Social Enterprise, some part of Revenue from product sales will be donated to the Foundation e.g. Foundation for Handicapped under The Patronage of H.R.H the princess Mother and Pediatric Cardiac Surgery Foundation. The degradation of ecosystems and coastal resources. Affecting the livelihood and well-being of the people. The construction of artificial reefs or marine habitat is one to restore ecosystems and coastal as well as marine resources, and waste management by 3R concept of company. Along the coastline are plenty more concrete in order that, SCCC has a scarp of ready-mixed concrete from the customers in many coastal areas, we have coordinated the collaboration of the Department of Marine and Coastal Resources, Ministry of Natural Resources and Environment to make artificial reef to create or restore marine habitat as well as natural reef and enhance the ecological value of the sea. Artificial reef module imitates the appearance and function of natural coral reefs. They have openings and canals that make an ideal living environment for a great variety of marine species, just like natural reefs! INSEE Young Talented IT will recruit the undergraduate or graduate level 10 students from 3 Universities of technology expertise e.g. Kasetsart University and North Bangkok Institute of Technology to be a full time internship for 6 months. They will have mentors from INSEE Digital during their internship period. In the last session 10 students have to present their Individual final project to the committee, the winner will be awarded. Members of the communities were taught to produce green bricks and to construct water tank engaging by employees volunteer, local officials, customers and press. Completion of 252 water tanks by August 2014 and handed over to Chaipattana Foundation. 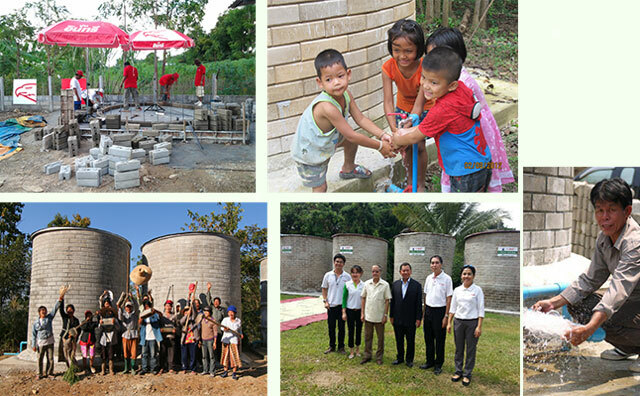 To donate cement supporting to communities and government affairs nationwide e.g. temples, schools, and check dam building etc.